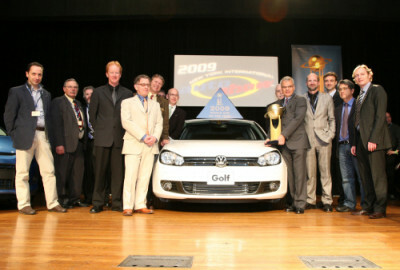 Volkswagen Golf was named as the ‘World Car of the Year 2009’ at the New York auto show. The Golf claimed its award after a shortlist of 51 nominations was picked to 10 semi-finalists and then three finalists. Volkswagen Golf beat Ford Fiesta and Toyota iQ in the last voting compiled by the international accounting firm KPMG. This year’s initial list began with 51 entries from the world’s automakers, whittled down on the basis of merit, value, safety, environment, significance and emotional appeal. “The new Golf VI employs Scirocco styled grille and headlights and larger tail lights. However, it also feels more expensive than other family hatches, thanks to its solid build and high quality cabin. Customers get a choice of nothing less than six engines including the punchy and efficient 158hp 1.4-litre TSI unit that features both a turbo and supercharger. The Golf is also available with the firm’s new 2.0-litre common-rail diesel motor with either 108 or 138hp. It goes without saying that choosing between the slick 6-speed manual and superb DSG twin-clutch gearbox can be difficult. Sitting on an outstanding chassis, the VW is more refined than its rivals, especially when highway cruising. 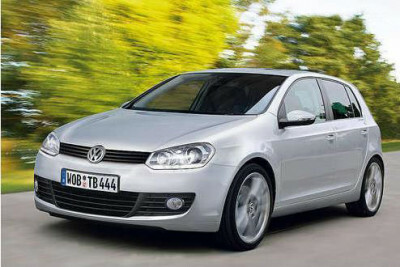 Wind, road and engine noise are kept to a minimum, making the Golf a relaxing long distance companion,” said the jurors.